A Southwark gym offering one-to-one sessions. 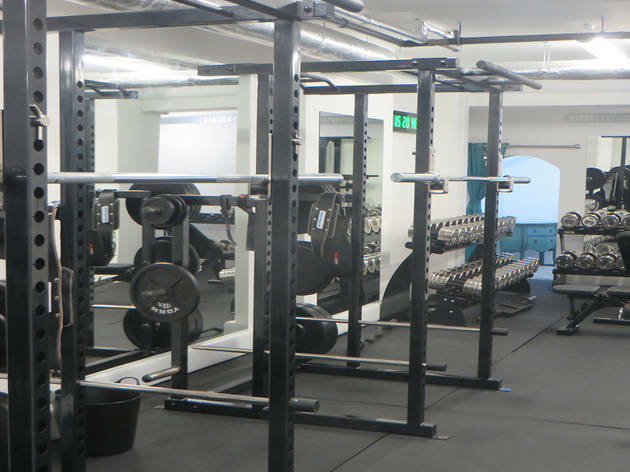 The Fitting Rooms Gym is a family-run, high-spec private training gym in London Bridge. Our vision is to bring expert personal training to everyone in an inviting, inspiring and exclusive training environment that is designed to deliver real results, without the exclusive price-tag. This is a brilliant concept. Having tried both the individual and shared personal training I can honestly say these guys know how to deliver results. They will work you hard! but make sure you do things right and stay injury free. They will keep you progressing steadily (and faster than you would ever do yourself). It is a commitment in terms of time and money but SO worth it. The trainers are excellent, knowledgeable, well qualified and not at all intimidating or unrealistic. Cannot recommend them highly enough. Incredibly professional, the team have a wealth of knowledge - no "fads" or gimmicks. Results are sustainable and realistic, unlike other gyms which promise a 12 week transformation that is not maintainable and ultimately means you'll balloon afterwards. These guys know their stuff. The programs are periodised, so your body never gets used to a training system. They also push you, so every week you'll lift more than the previous week - it's so satisfying to SEE results on the chart at the end of a training cycle. 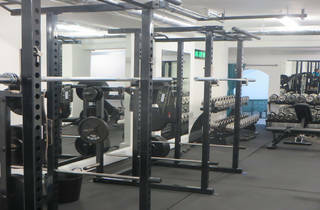 I cannot recommend this place enough - a great team of people and a great training environment! Have been training with Steve for a year now and delighted with the results. The programme changes on four-week cycles and is tailored to tackle whatever goals you're trying to achieve. Love the group sessions - provides a social element that's absent when going to the gym alone and you still get focused, intensive training. The PT team is very welcoming and you can tell that they get on well with each other. Strongly recommend! A fantastic team and a fabulous Personal Training studio! When they say personal and tailored for you they mean it! I have been training with Dave Jordan for four years and have achieved more than I ever thought possible. Motivation, encouragement and inspiration in abundance! Since opening their doors 6 months ago I look forward to going to train even more than I did before, (if that's possible!)! If you've not tried The Fitting Rooms then it's a MUST! This is a welcoming gym with a great range of equipment, and knowledgeable and friendly instructors, who push you just the right amount you need to improve. Because all sessions are conducted with a personal trainer, the right equipment is always available when you need it so you spend more time actually training than at other gyms.